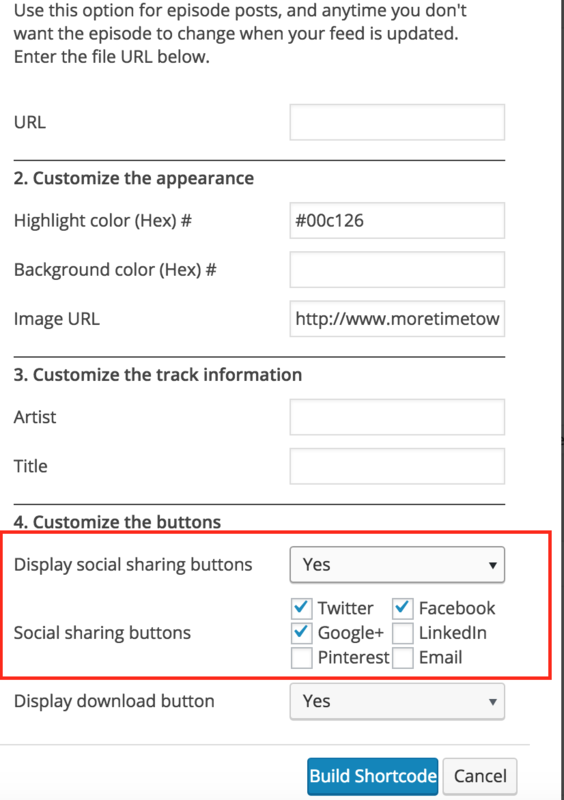 Here's how to customize which social sharing buttons (Twitter, Facebook, Google+, etc.) appear on your Smart Podcast and Smart Track Players. You can show between zero and seven social sharing buttons in both the Smart Podcast Player and the Smart Track Player. Read below for instructions on both methods. 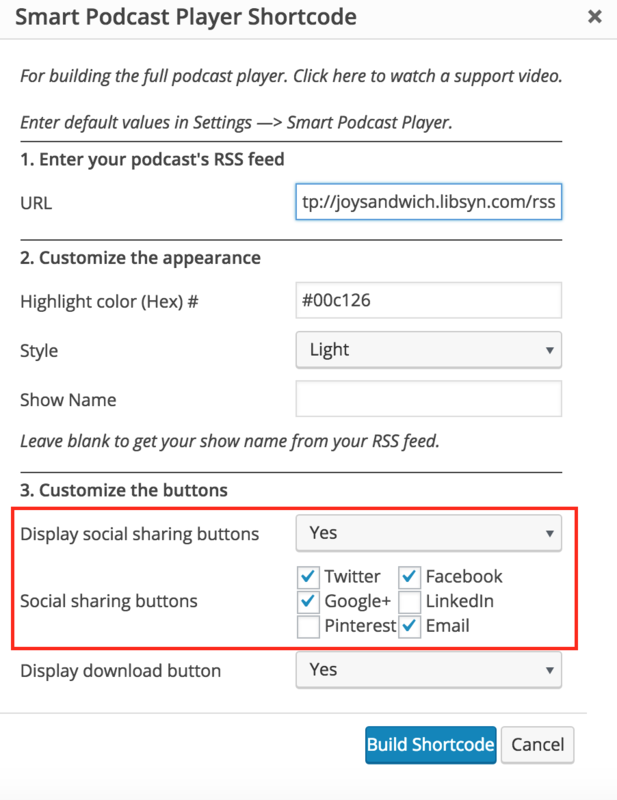 The Smart Podcast and Smart Track Player shortcode builders allow you to select which four social sharing buttons appear on the player. Verify that Social Sharing is set to On. Next to Social sharing buttons, check the social networks you would like to display.